HELLO!! I'm pumped up right now because I'm getting ready for the Haven Conference in Atlanta. I wrote about the experience after my first time attending the conference last year. You can read that post here. I'm looking forward to meeting new people and learning a lot! Last week I shared a post about my most popular project. 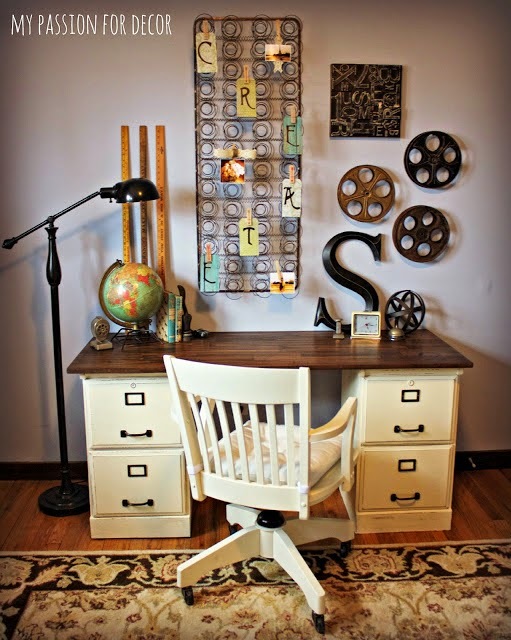 Today I'm sharing one of my favorite and most popular posts from last year....My Pottery Barn inspired desk. Who doesn't love when they get that Pottery Barn catalog in the mail? Well, I sure do and I love pouring over the pages figuring out what I want to try and make. 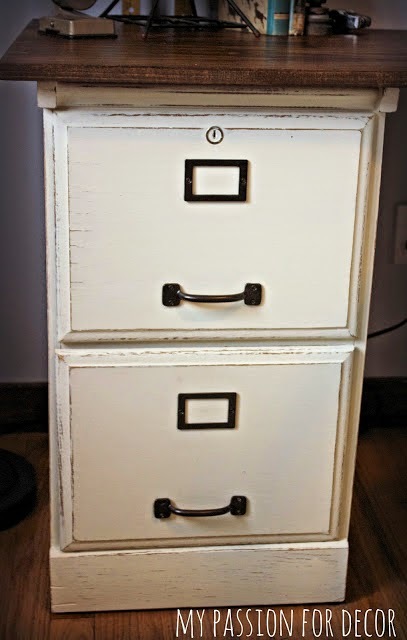 SO when I found some old wood filing cabinets at Goodwill, I knew what to do with them. 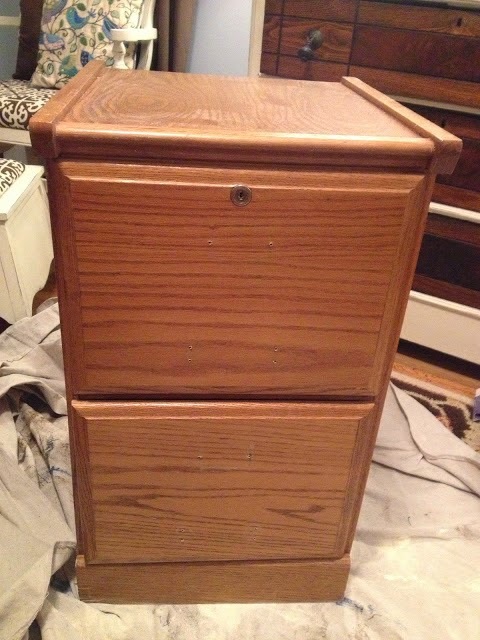 This is what I started with....two of these lovely wood filing cabinets with brass hardware This picture was taken after I removed the hardware. 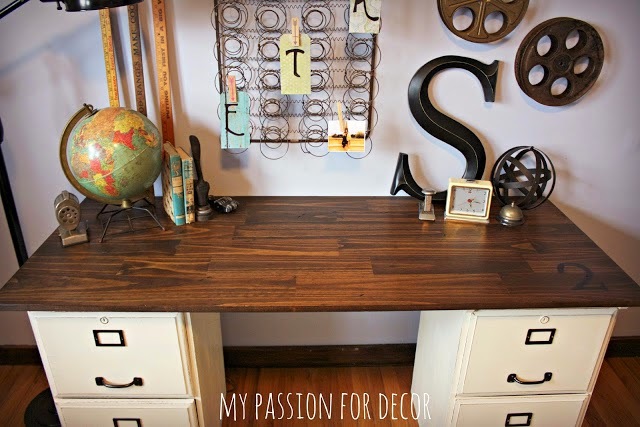 With the magic of some Chalk Paint™ by Annie Sloan in Old White, some spray paint in oil rubbed bronze from Rustoleum these cabinets were given new life! 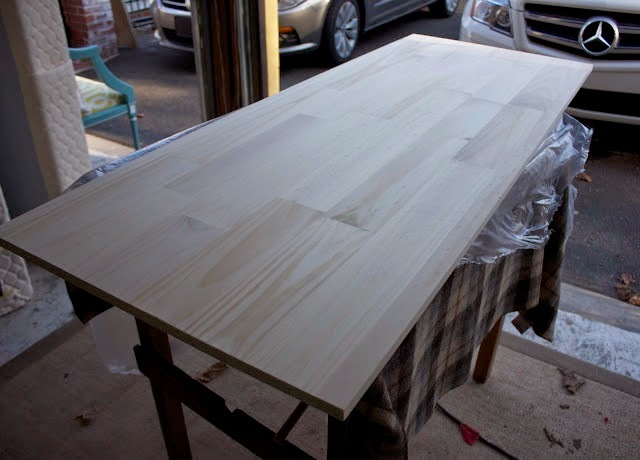 Add in a solid wood panel from the home improvement store, some stain and a number and I had a new desk top. And BAM! 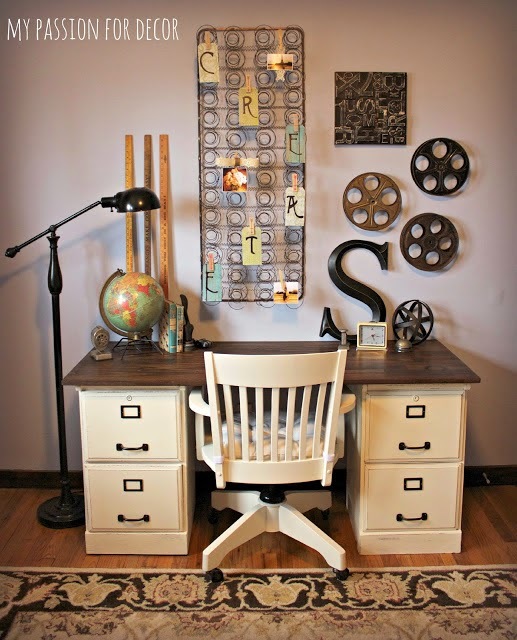 A new desk made by me and inspired by Pottery Barn. I have to admit at one point last year I had the desk for sale. Then I changed my mind. I love this desk and I needed to keep it. I'm so glad I changed my mind!! This picture was taken a few houses ago. Now the desk is sitting in the Hubby's new office waiting for me to get it organized, painted and decorated. I'll be sharing pictures of it's new home once I'm done. I hope you're enjoying these blasts from the past as much as I am! It makes me realize how much has happened and changed in the 2 1/2 years I've been blogging. It seems like only yesterday I started this blog on a dare! Now I'm attending my second blog conference and going on my third year blogging. I'm hoping to learn a lot at Haven this year that I can implement here. Stay tuned to see what I learned. I'm happy to have Charlotte from Ciburbanity here today!! I love Charlotte's style and her ability to juggle four children, a successful blog and all that life throws her with such grace. I know you'll love her post today. I'm already looking around for some upholstery to paint! 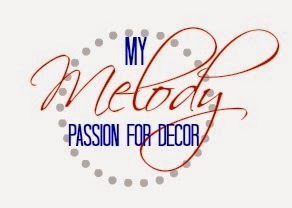 If you're looking for inspiration, make sure to stop by and show her some love on her Facebook page here or on her blog here. Let's give Charlotte a warm welcome and show her some MPFD love! Thanks for being for sharing Charlotte! 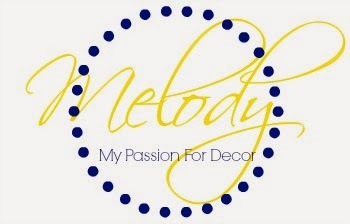 I’m SO excited to be back at My Passion For Decor (even more excited that I get to hang out with my girl, Melody, in just three short days!!!). I'm Charlotte from Ciburbanity and I'm so excited to share my latest chair project. You know how they say a coat of paint can be transformative? Well, they weren't kidding! I've had this chair in my basement for a few months with the intent of reupholstery, but I don't know that I can handle piping for another 12 months. Soooo... I reached for my paint brush! There are plenty of tutorials out there on the web, and I read a few of them to confirm that most people recommend the same process. I mixed 1/3 regular ol' latex paint, 1/3 fabric medium (mine is Martha Stewart's from Michael's) and 1/3 water. 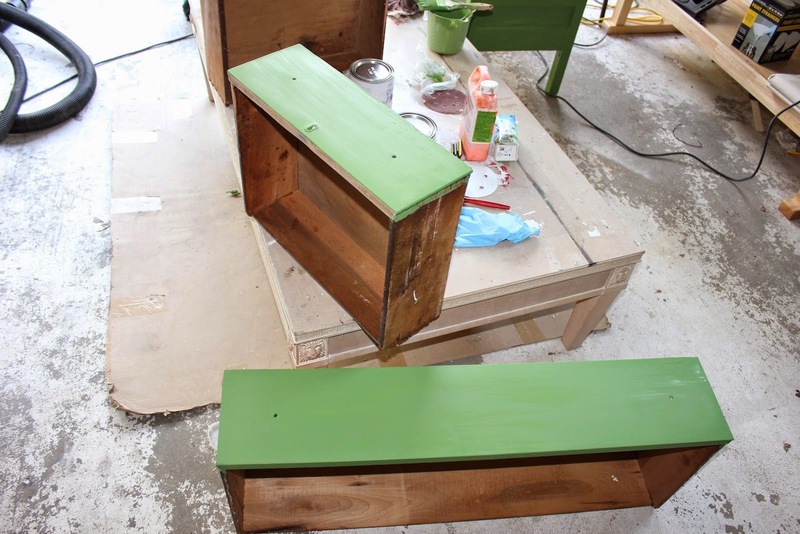 Before painting, tape off any areas of your piece touching the upholstery. The paint should be watery in order to penetrate the fabric, so it will be hard to control and might, ahem, get everywhere. 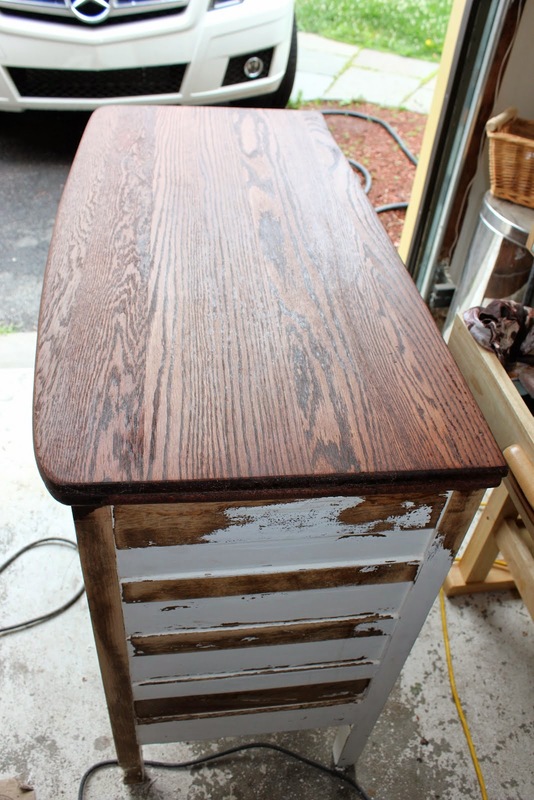 For the first coat, give your fabric a pretty good once over with a spray bottle. This will help the paint soak in...I started with a plain and simple 2" brush and applied the paint being careful that my last stroke was going with the grain of the fabric. For little nooks and crannies around the tufting or folds or cracks around the piping, use a smaller firm brush to really get your paint in there good. Ultimately, I used my fingers to rub in the paint and make sure that the whole chair had a uniform coat of the paint mixture. Let your paint dry for a while (I left mine overnight) and go over it with a fine grain sandpaper block. This step is important as it helps to soften the fabric and remove any areas where the paint might have set a little too heavy. This chair took 3 coats, but it's also a fairly dark color... 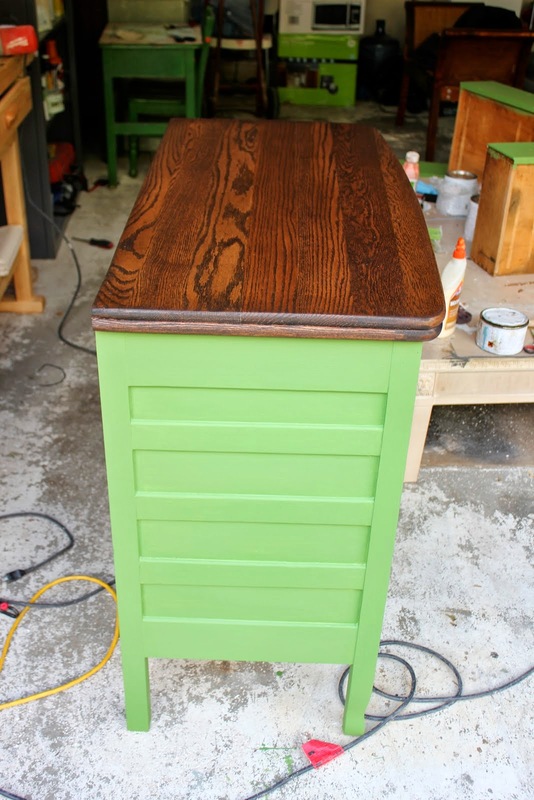 I could see a lighter color on a lighter upholstery might not require as many coats! Can you believe how this thing used to look? And I'm sure you're wondering about the texture... guys, it's NOT ROUGH.. Pinky swear. If you were blindfolded, you wouldn't be able to tell what material is on the seat. The back around the tufting is a little rougher because it's tricky to get the sanding block in there, but it's more stiff than scratchy. This new chair is amazing. Like amazing aMAZing. I'm SO pleased with the color and it was much easier than reupholstering. And piping... I loathe piping. In case you haven't seen this post, or you've forgotten what it looked like before, here's how it looked before. 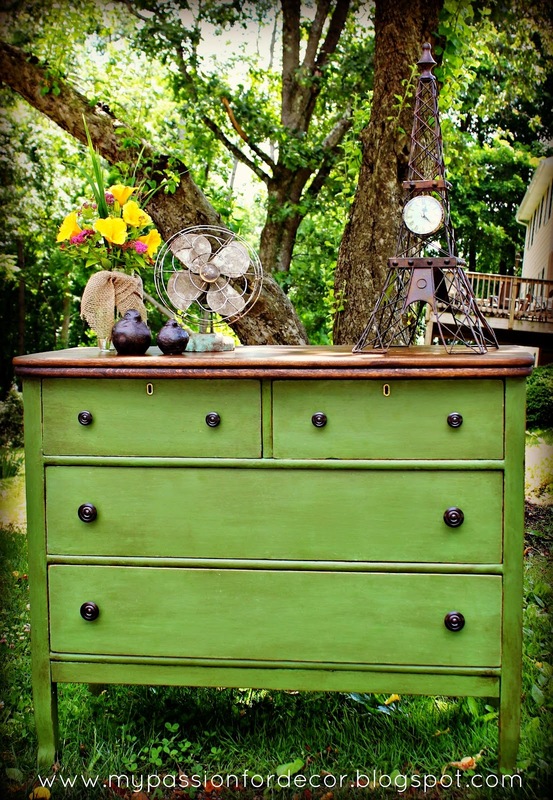 One of the things I loved about this dresser was the sides. I'm a sucker for slats!! 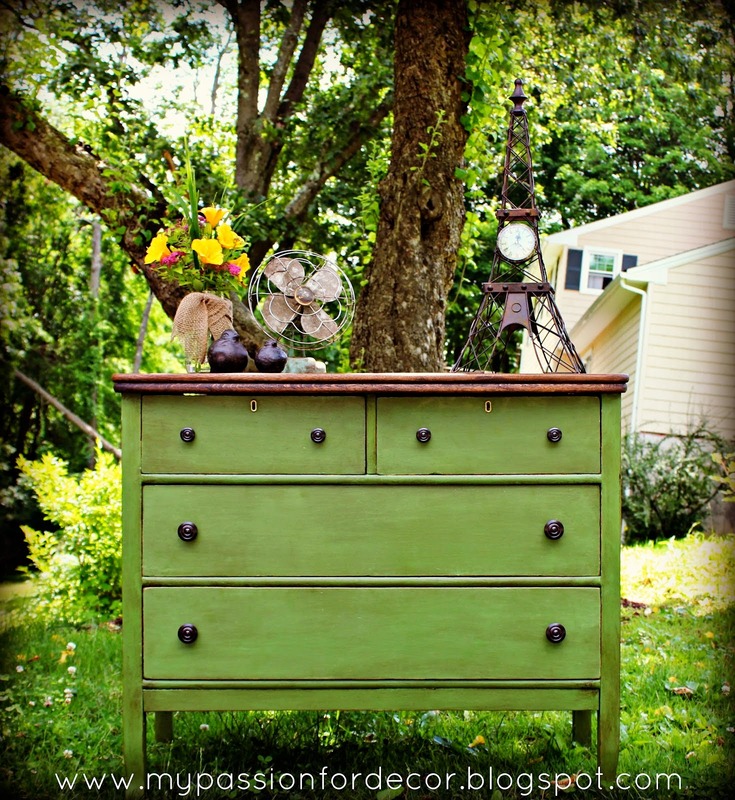 When I did this piece I had been working with Chalk Paint™ for six months. 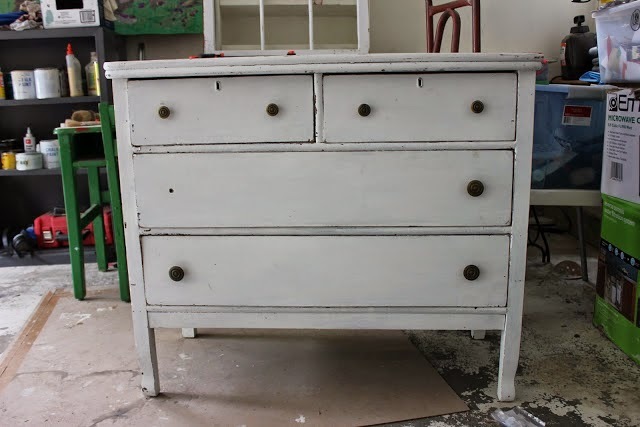 I'd heard a lot of buzz about making DIY chalky paint, so I figured I'd see if it was as great as everyone said it was! 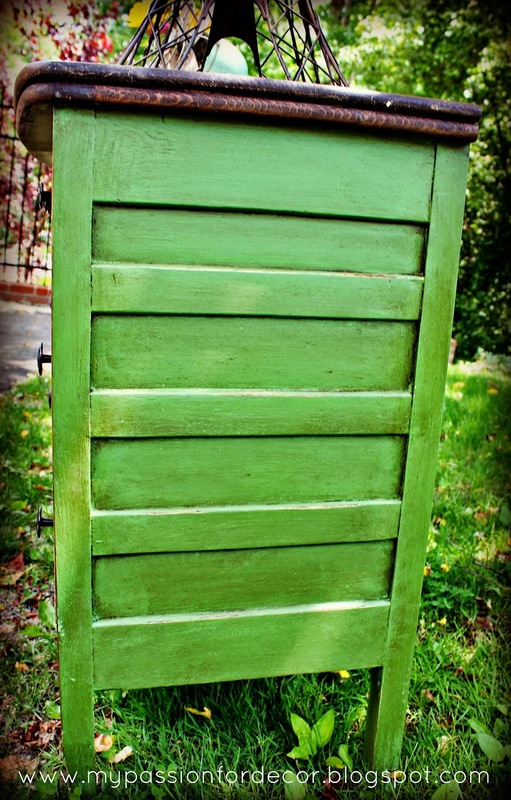 I found my color, Behr's Happy Camper, then used a recipe for DIY chalky paint I found on Pinterest. 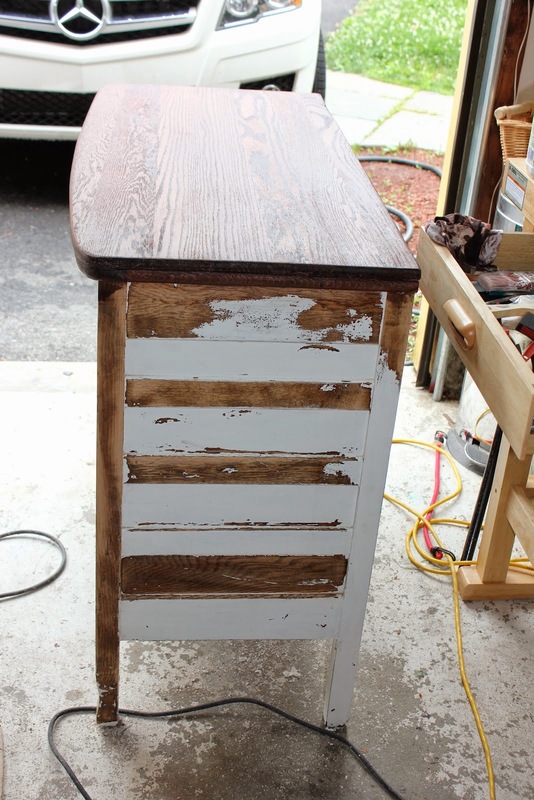 Before I could start painting, I needed to strip and sand the top as well as scrape off peeling paint from the rest of the dresser. 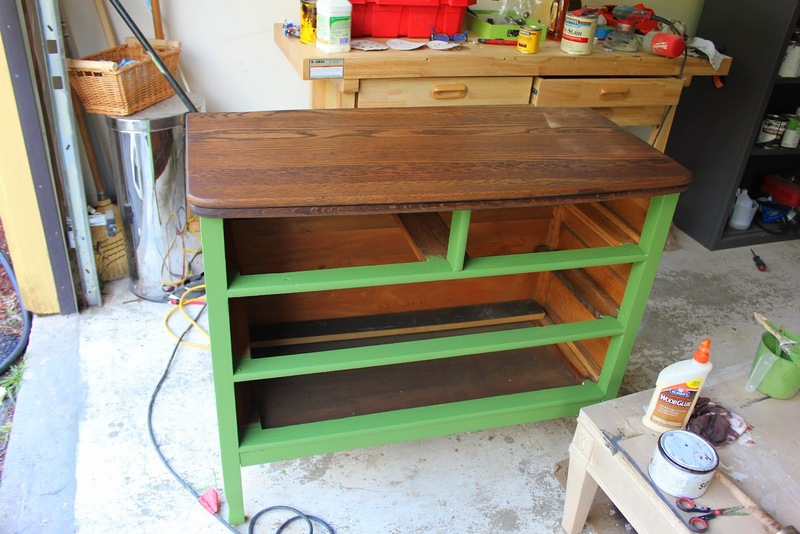 I stained the top in a mix of stain until I was happy with the color. 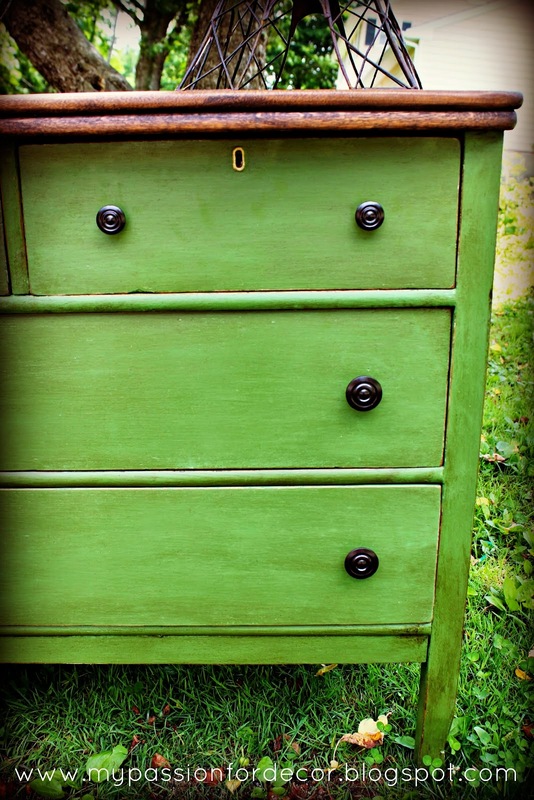 I began painting the body of the dresser in my DIY chalky paint in Happy Camper green. I really love the name of this paint, not to mention the fun color! 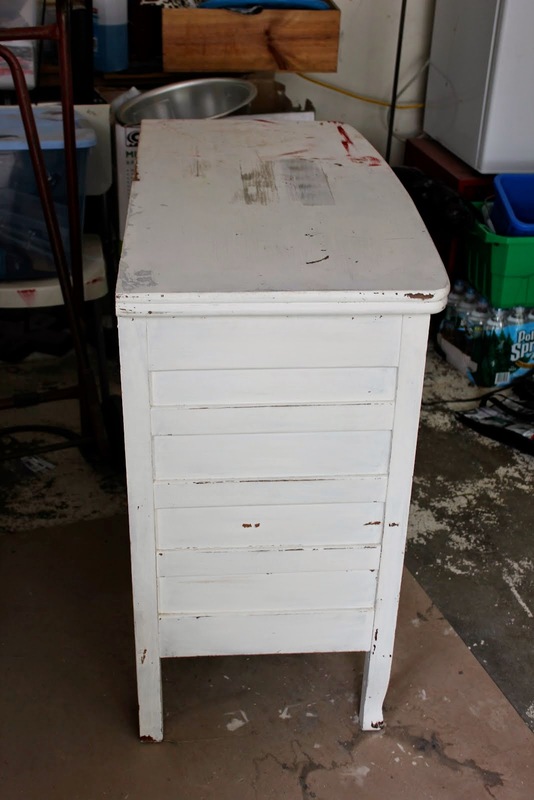 This is how the dresser looked as the paint was drying. After the paint was nice and dry, I went over the paint with a coat of Annie Sloan soft clear wax, then a coat of dark wax. I lightly distressed the high points and the areas I wanted to highlight. 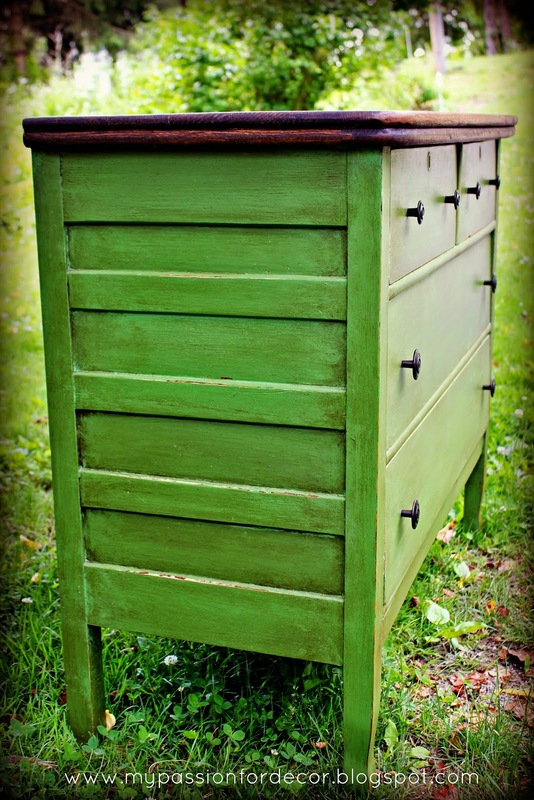 For the drawer hardware, I spray painted the existing hardware with Rustoleum oil rubbed bronze (my fav spray paint and color!). I can see why this is my most popular post. 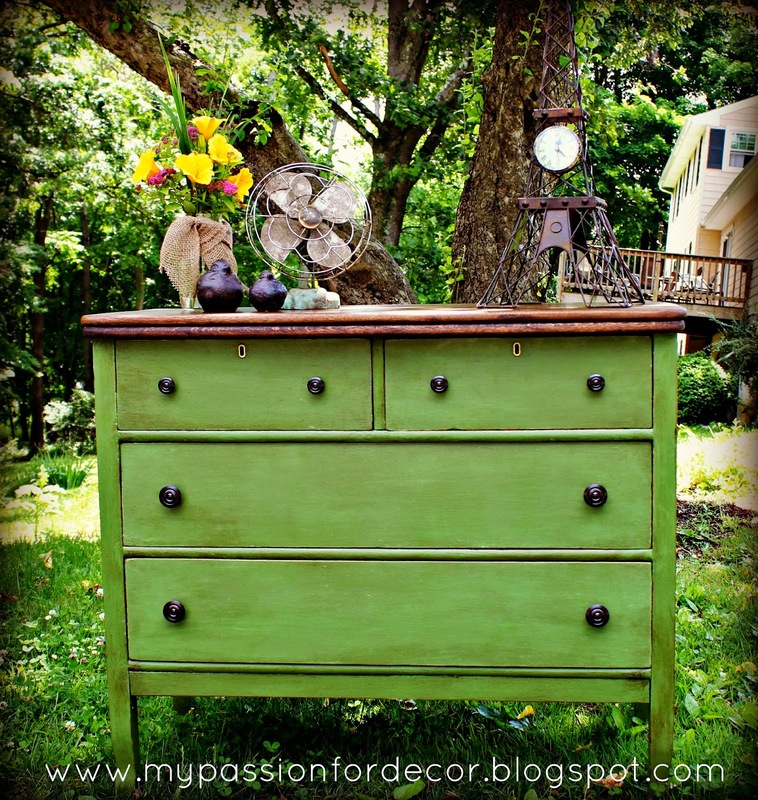 I love this dresser and honestly never thought I would part with this one. 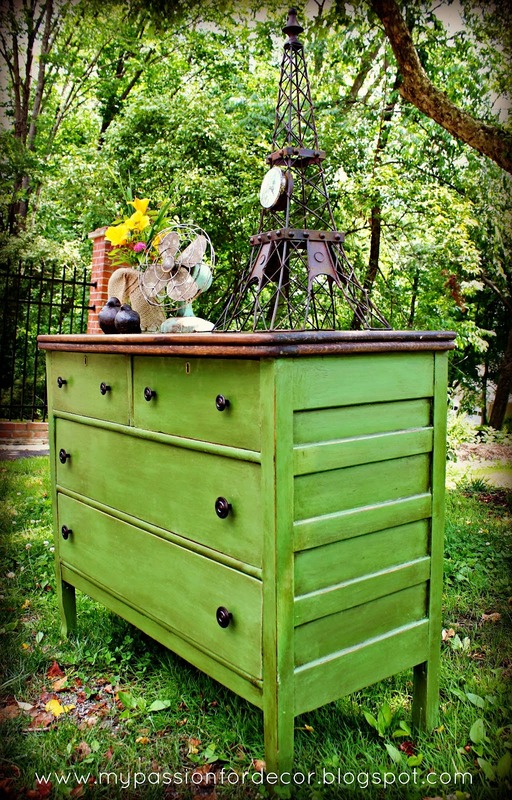 However, after I had the dresser for a bit, I sold it to a friend of mine. 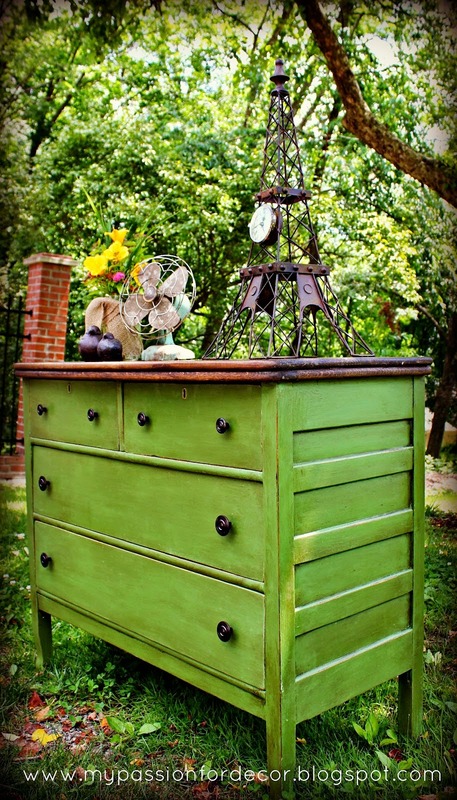 She had always loved this piece and I knew she would give the dresser a good home. My house is a revolving door for furniture. There are pieces I love and will never sell, or at least I think I won't sell them! You never know! I hope you enjoyed going back in time with me today. It was fun to revisit this project. I think it's important to look back and reminisce from time to time. Thank you for reading!! Have a wonderful 4th of July!